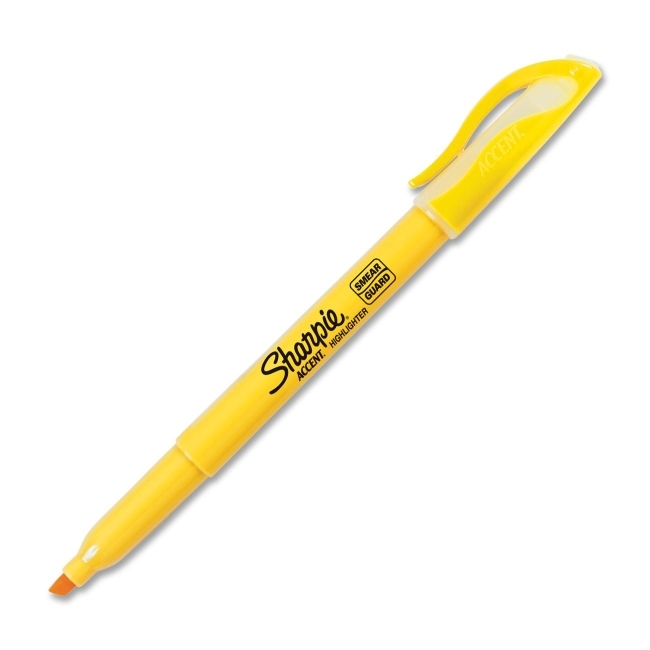 Pocket Sharpie Accent Highlighters with Smear Guard are specially formulated to resist smearing. Each offers an easy gliding chisel tip for smooth highlighting. Bright see-through colors allow you to get information faster. Versatile chisel tip highlights wide and narrow lines of text. Quick-drying, odorless ink is certified AP nontoxic. Highlighter resists smearing on ink from many leading inkjet printers and ballpoint pens.